My mother taught me many lessons throughout my life so far… but two major things have stayed in my head on a daily basis; 1. Don’t drink soda – it WILL go straight to your hips. 2. Take care of your skin, you’ll thank me later. 1. Weird Fat in Weird Place: drinking soda leads to dramatic increases in fat buildup around your liver and your skeletal muscles, both of which can contribute to insulin resistance and diabetes. 2. Diet-Soda Belly: Researchers from the University of Texas Health Science Center monitored 475 adults for 10 years, and found that those who drank soda had a 70 percent increase in waist circumference over the 10-year study, compared with those who didn’t drink any soda. Those who drank more than two regular/diet sodas per day saw a 500 percent waist expansion! bottom line: Gross, stop drinking it. Lesson #2 – Skin Care. I’m a creature of habit and once I’m locked into one I generally stick to it, this habit I will NOT need to break. Growing up in Miami you see some GORGEOUS women with GORGEOUS skin and then you see some gorgeous women with HORRENDOUS skin, they definitely didn’t have a routine. Clearly the beautiful South Florida sun rings a bell for those of us lucky enough to live there and you Wisconsin folk may say, “psh I don’t need to worry about this said ‘sun'” but yes, ladies and gentlemen we all do. If you can afford facials you can get this information from your esthetician about what works best for you but even if you can’t afford getting a facial every other month some of the products below should be STAPLE items in your daily routine. 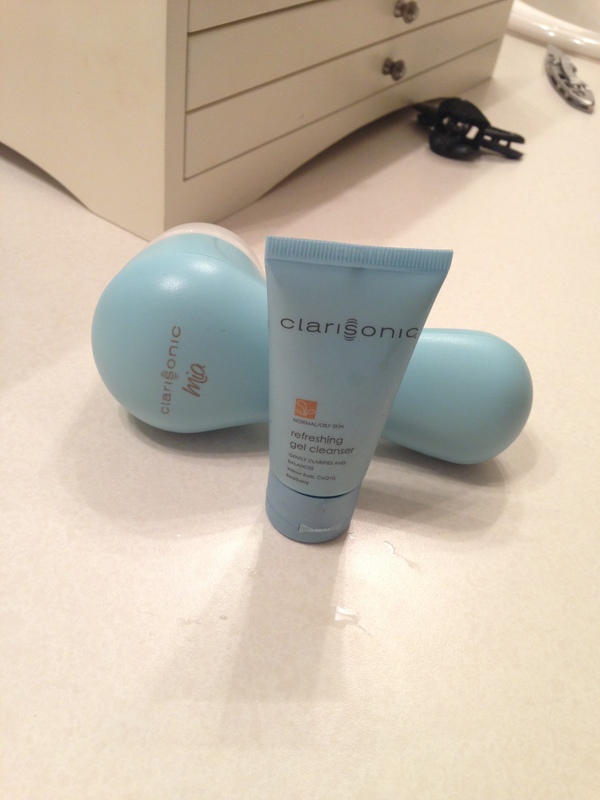 My go to is Clarisonic… many companies have come out with similar products for as low as $30 and they all essentially do the same thing. For best results you should use this two times a day; in the morning to create a clean canvas for moisturizer and make up and at night with a cleanser to remove make up and prepare for your nightly routine. Observe how it breaks down make up 6x better than just using make up remover, helps improve the appearance of skin tone, texture, elasticity and firmness in mature skin and makes skin look and feel softer, smoother and healthier looking. My morning routine then continues with this delicious toner that I got in the British Virgin Islands, but you can find here in America! I then add a product that was recommended for my skin type – an antioxidant made by SkinCeuticals- they have great products. Antioxidants are important because they help prevent wrinkles and other signs of aging, acne and skin cell damage…so get some. 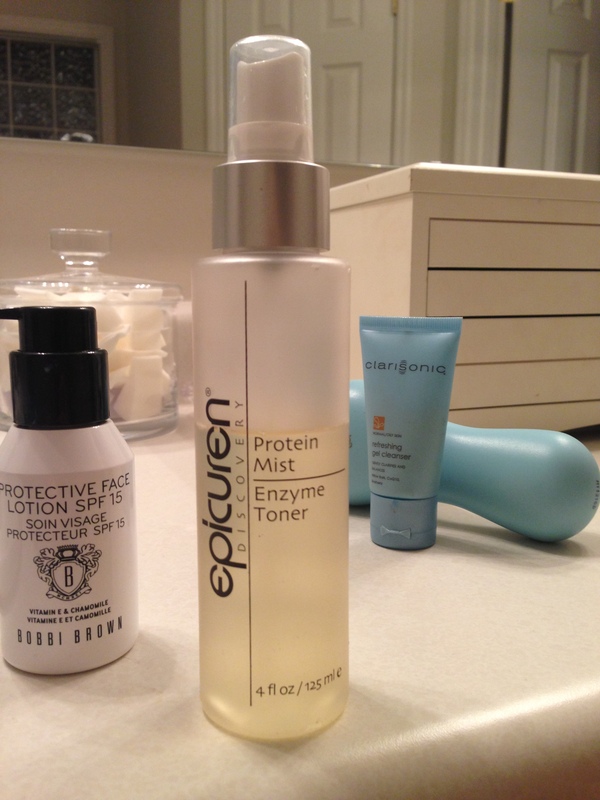 After the toner & antioxidant serum have completely dried, before make up, I moisturize (VERY IMPORTANT FOR GREAT SKIN!! 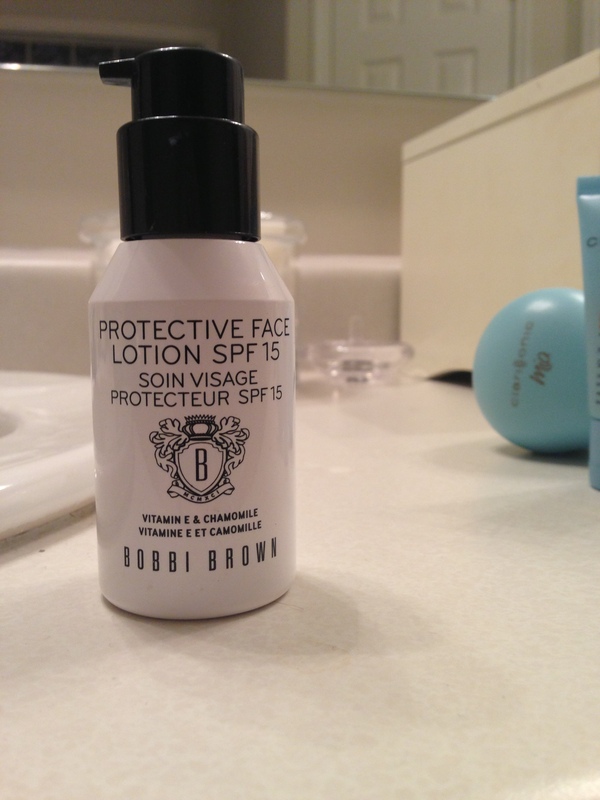 )…always purchase a moisturizer that has SPF in it!! I strongly believe in Bobbi Brown products because they work very well with my skin (visit a higher end retail store’s makeup counter and ask someone to walk you through which products may be best for your skin). Go ahead – now you can put on your make up, enjoy your day, come home and let’s get started with the nightly routine. this refreshing treatment hydrates the skin while reducing the appearance of fine lines and wrinkles. Step 3: Once your skin is dry its time to moisturize again! Night time is also the time to help out those under eye bags/sags/future sags… so get some under eye cream separately – the eye skin is EXTREMELY delicate in comparison to the rest of your face and it should be treated that way! 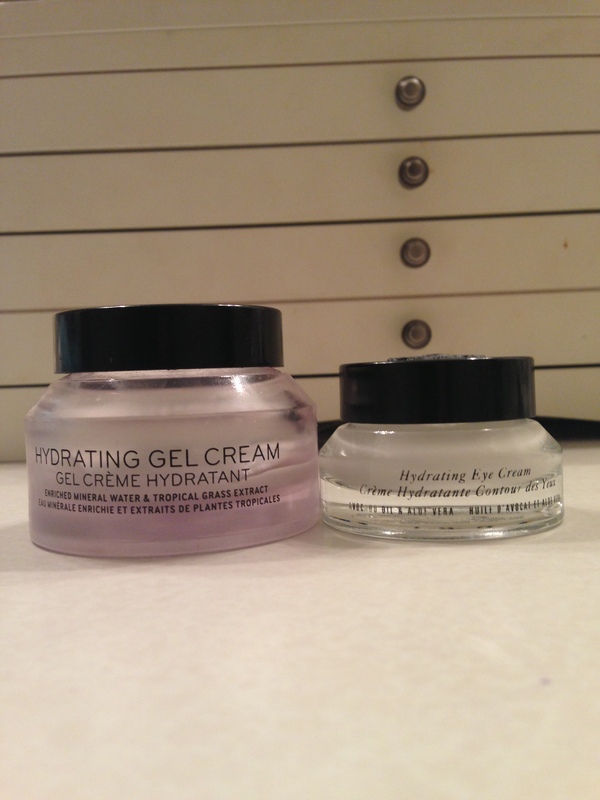 I use these two Bobbi Brown night time moisturizers. Hydrating Eye: this cream leaves the eye area soft, smooth and refreshed for HOURS! Hydrating Gel Face Moisturizer: Tropical Grass Extract hydrates instantly and increases the skin’s natural ability to hold on to moisture. Vitamin E provides anti-oxidant protection against environmental damage. Once a week I do a mask, I do not have a preference yet of which mask I swear by… but this one is good. It’s description: Natural vitamins and mineral-rich extracts even out skin tone, gently soothing and refining, helping to remove dead skin cells and erase the effects of environmental debris. A blend of vitamin A and citrus peel extract works to leave skin brighter and more radiant. THAT is my routine! Seems daunting but once you do it and see the results – it’s worth it! The proof is in the pudding. It was a word press template ! I made it myself! You can find all the images online and the layout was from wordpress!